For new design projects, blank artboards can strike fear in many designers. Approaching a new task with a blank slate is never easy, especially under a deadline or without a clear objective. That blank rectangle can be the biggest block to any momentum in getting a project moving. But don’t despair! Using mood boards can help kick off any design project and remove the fear of directionless design. 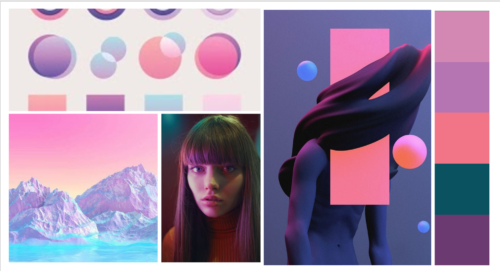 A mood board is a collection of style—like color, texture, UI framework, or theme—that visually unifies a set of images. Part of what makes the tool so valuable is how malleable mood boards are to each project. Each board simply needs a cohesive connector that all the elements on the board stem from. Having a theme to draw them together allows design teams and clients to react to different conceptual directions, allowing for different ideas to be explored early and with little time. When should you use mood boards? Mood boards should be implemented early. 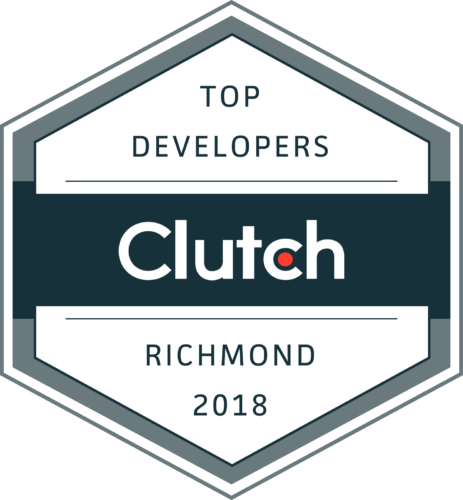 They are a fairly low-investment tool that you can use to get in step with your client/stakeholder/design lead early on. With clients at Shockoe, we use them early in our design process to get a sense of the client’s needs and tastes while also exploring some potential directions without burning too much time. Potential times to bring mood boards into projects: Early design discussions, design concept pitching, stakeholder exercises. There are many ways to develop useful mood boards. When planning boards, a great way to start is to define your audience. Is the purpose of the mood board for you to discover tones and feels? Is it to guide a client or stakeholder in a certain direction? Defining your audience and purpose will help shape the direction of boards to create productive discussion. Want to explore different color options? Group different items of the same color to get a feel for the application. 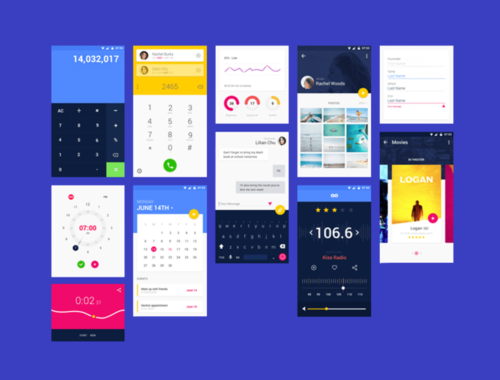 Want to look into different design systems? Show them together, or back to back. It really helps to have a log of potential approaches and looks to help influence the direction of the project and discuss options before running with a certain design. I tend to approach my mood boards in three steps: Think, Collect, and Organize. Starting out, I write down as much information as I can. I try to roll up all my knowledge on the project so far and start thinking of things I want to use for inspiration, like colors, products to be inspired by, people or places that should influence or impact the design, or just cool anecdotes I can recall from earlier meetings with a client. After the brainstorming step, I create a project folder to store assets. I keep anything and everything I find interesting in that folder that could be used in the project. Pinterest and Dribbble are obvious choices when searching for inspiration, but I also find lots of really interesting ideas by looking at different mediums. Furniture, architecture, and game design blogs have all provided great ideas to consider for potential inspiration. From here, I use my favorite tool for mood boards to collect and organize the different images designers and I have curated: Google Slides. 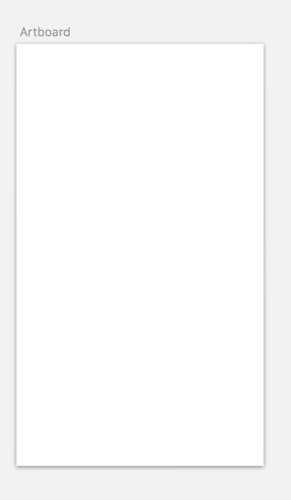 Google Slides acts as a fantastic repo to collect and organize thoughts. The ability to collaborate with other designers makes the tool even more awesome when working on larger design teams. When laying out designs, I find it useful to pick a lead image and then build out elements around it. That way when discussing the project with a design director or client, you can orient the discussion around that image and define your intent with a style in that direction. The last step of using mood boards in design is getting a sense of which way to run when it comes time to start the actual design process. I’ve always enjoyed the candid and open discussion around mood boards. Planning out how you want the discussion to go will really help create a structured conversation that will benefit both you and the client. By knowing the discussion you want to have around the boards, you are able to ensure that the feedback you receive provides clear direction so you are not left with that dreaded blank artboard rectangle. If you’re ever in a stalemate about which way a client thinks a project should go, or if you want to feel out some new or riskier design directions, mood boards are a fantastic tool to quickly define a style and explore different routes for the project. 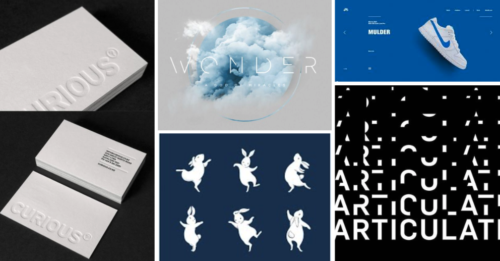 Don’t stare at blank art boards—go make mood boards! You can find more design blogs from our team on our blog page. Virtual, Augmented and Mixed Reality… Confused Yet?